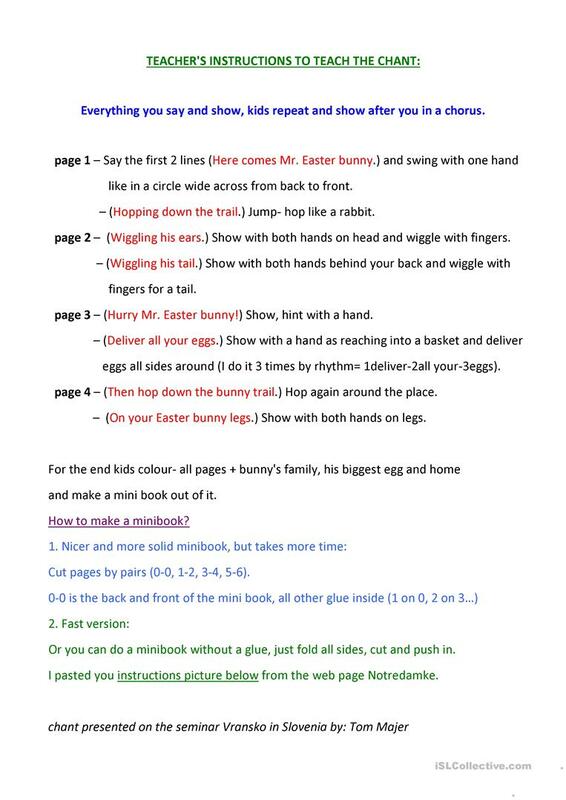 Mr. Easter bunny chant in a mini book for young learners with instructions for teachers. Kids love it! 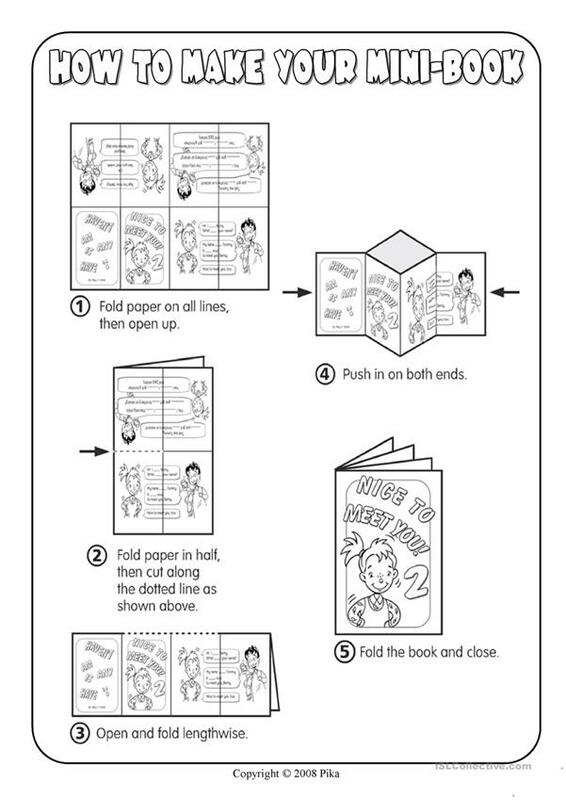 The above downloadable handout is best suited for elementary school students and kindergartners and nursery school students at Beginner (pre-A1) and Elementary (A1) level. It is useful for honing your groups' Speaking and Reading skills. It centers around the topic and words of Easter.